Categories: Global Network Dinning Cards, Dining Cards, Virginia Dining Card. 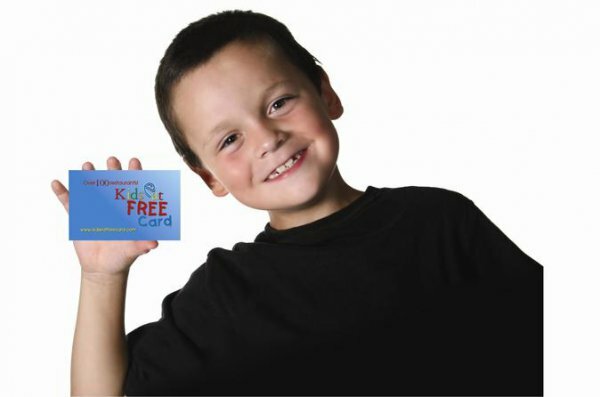 Get all of the benefits of the regular KidsDineFree Virginia Membership Card at home plus access to every offer across the entire Kids Eat Free Card Global network of participating restaurants! 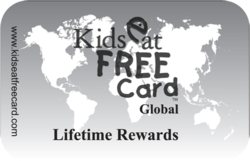 Valid at any participating Kids Eat Free Card restaurant in any Kids Eat Free Card destination worldwide. As we open new cities and add new destinations with participating networks, you will automatically be able to get all the benefits. City Hopper Members get a twelve-month membership card that entitles them, to one FREE kid's meal with each purchased full price entrée. Each card lets children age eleven and younger eat free at all participating restaurants. One free meal per card, multiple children would require multiple cards.